Sanded down to 180 in most areas. You will have to sand down the rest. This body will turn out amazing. See BLUE BODY PHOTO which I personally did and built a guitar with. Comes with a laminate Back Cover & HipShot Bridge. YOUR CHOICE see PHOTO. This guitar was previously painted by a BAD PAINTER. I stripped it down to what you see in the photos. You will have to final sand it. Not much work left compared to what it took me to strip it. 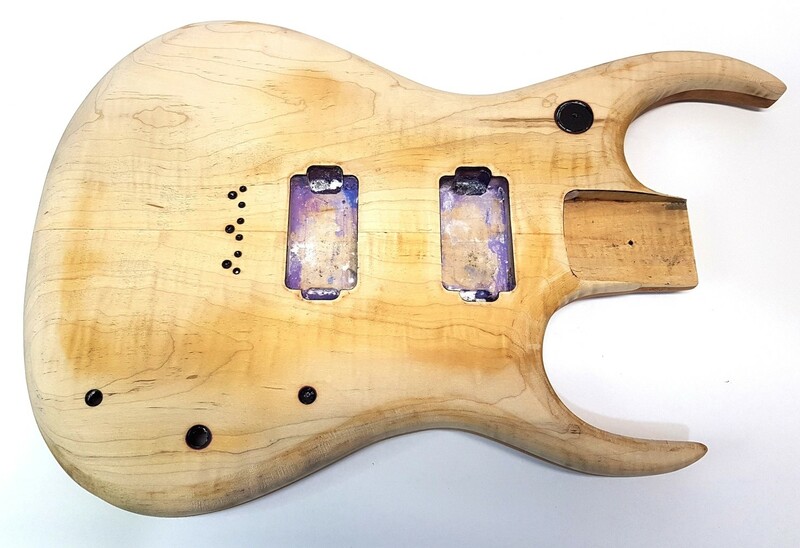 If you have the Vision this body will make a most amazing Guitar. See photo of Blue Body I did. *Blue Body and Guitar in PHOTO is NOT INCLUDED.